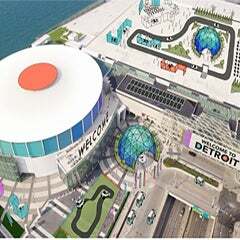 DETROIT – Cobo Center is expected to generate nearly 20 percent more operating cash over the next two years while absorbing a $2 million reduction in the subsidy it receives from state taxpayers, according to budgets approved by the Detroit Regional Convention Facility Authority. The five-member DRCFA adopted a $15.8 million operating expense budget for its 2013-14 fiscal year, which is about the same as the expense budget set for the current 2012-13 fiscal year. The operating expense budget for the 2014-15 fiscal year is projected to be $16.1 million. 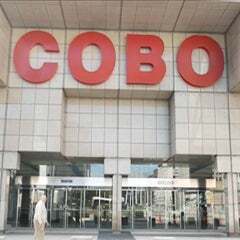 The Cobo Authority’s fiscal year begins Oct. 1. Expenses also are predicted to rise with the increase in activity, but their growth will be at a much slower pace than the revenue gains, allowing the significant increase cash flow during a period of declining operating subsidies from the state. Upon assuming control of the facility on Sept. 15, 2009, the DRCFA gave the City of Detroit a one-time $20 million payment under the terms of a 30-year capital lease. The Cobo Authority also assumed the city’s obligation for bonds used to pay for the last facility expansion in 1989. The state subsidized Cobo operations by $11 million in FY2010 and FY2011, and $9 million in FY2012 and FY2013. The state operating subsidy declines to $8 million in the budgets adopted for the next two fiscal years. The subsidy continues to decline steadily until it ends by 2024. 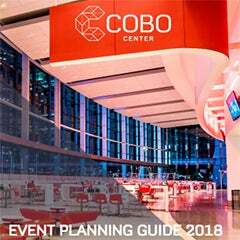 Cobo Center operations are expected to generate more than $3.7 million cash in 2013-14 – $234,498 more than this current fiscal year – and more than $4.2 million cash in 2014-15, or $467,000 more than the year before. The DRCFA’s bonded debt does not figure into operations because those payments come from the Michigan Convention Facility Development Fund, which receives annual funding from a statewide liquor tax and a hotel occupancy tax for facilities located in Macomb, Oakland and Wayne counties. That tax revenue is not used for operating expenses. The DRCFA intends to secure permanent bond financing to replace the temporary construction bond funding that was used for the current $279 million capital improvement program. The capital program is nearly two-thirds complete and will be finished by January 2015. State debt service from the Convention Facility Development Fund is expected to rise significantly after permanent bond financing is secured. Non-cash depreciation expense will more than double between the current fiscal year and next because the $115 million ballroom and atrium project will begin to be depreciated starting in October, the first month of the next fiscal year. Depreciation expense is anticipated to rise by another $1.8 million the following year as the full $279 million capital improvement program moves from construction to completion at the end of the 2014 calendar year. The non-cash depreciation expense results in the Cobo Authority reporting a net income loss of more than $3 million in the 2013-14 fiscal year and $4.4 million in the 2014-15 fiscal year.